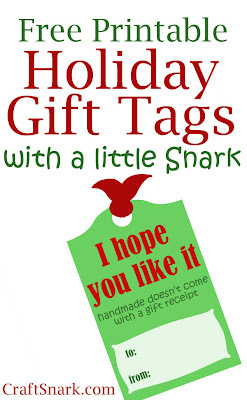 Download the Snarky Printable Gift Tag for Handmade Gifts here. I've talked about the value of handmade before. People claim to love handmade. And some genuinely do. The challenge with giving handmade gifts is that if the recipient doesn't like it... well... too bad. For everyone. Too bad for the giver, because they spent hours or days on a project that will get shoved in a drawer, the back of a closet, or immediately go to Goodwill. And too bad for the recipient, because they have to figure out how to feign appreciation for the unfortunate gift they were given, and then they have to find drawer space, closet space, or time to take the item to Goodwill. If they are an especially good friend, they now have the burden of remembering to take out the gifted item to display it whenever the giver comes to visit. With all this complicatedness, (that's totally a word - but if it isn't, I want credit in Websters 2014) maybe we should just buy eachother gift cards! 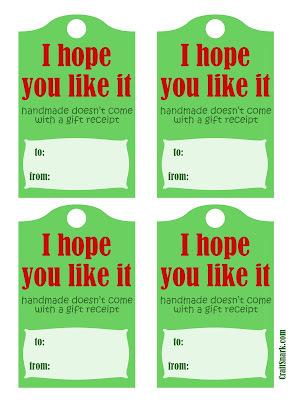 And, of course, give them in hand-made gift card holders. If you're going to risk giving handmade this year, I'm helping you out with some fun and snarky gift tags for your handmade presents. 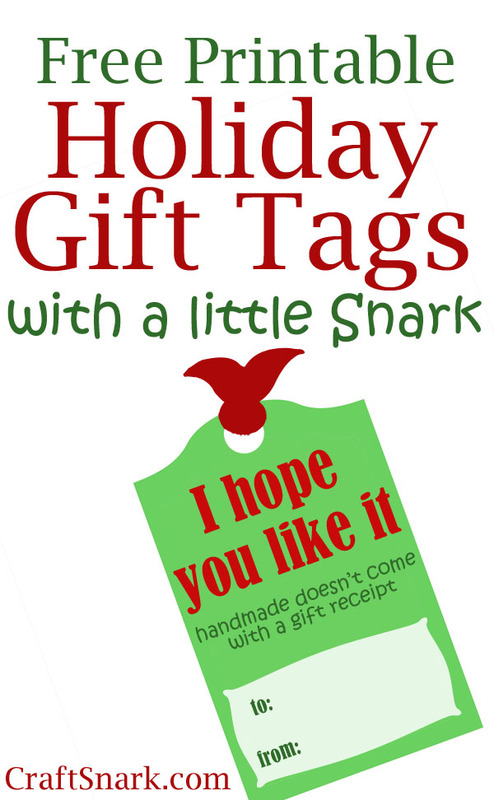 Download the Snarky Printable Gift Tag for Handmade Gifts here. They print 4 to a sheet. Cut them out, punch a hole, and share the handmade love! Love these!!!! Thank you so much for sharing! !